Just when you thought you’d heard enough of my insufferable bragging about how beautiful our life is in the country, four deer showed up last night in the pasture between our house and neighbors. Sigh. 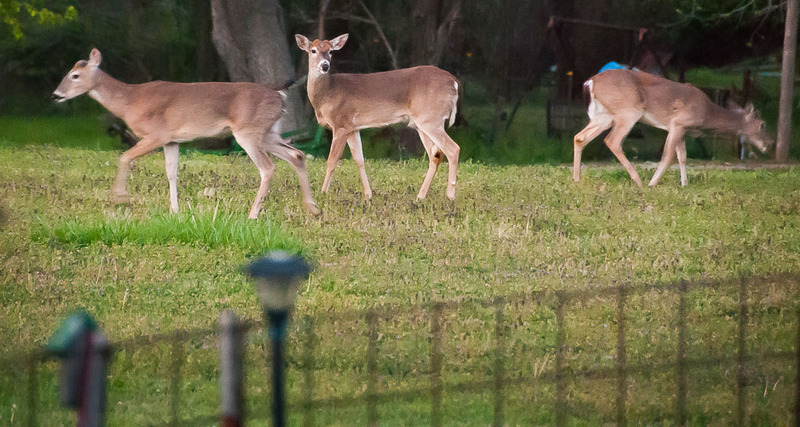 Three of the four deer who visited last night graze in the pasture to the east of our house. A fourth was out of sight to the left.